Google Play Store is quite popular for the variety of apps and games that it offers. However, often times, most people forget that it is also the home for a handful of other content like movies, books, TV shows, etc. 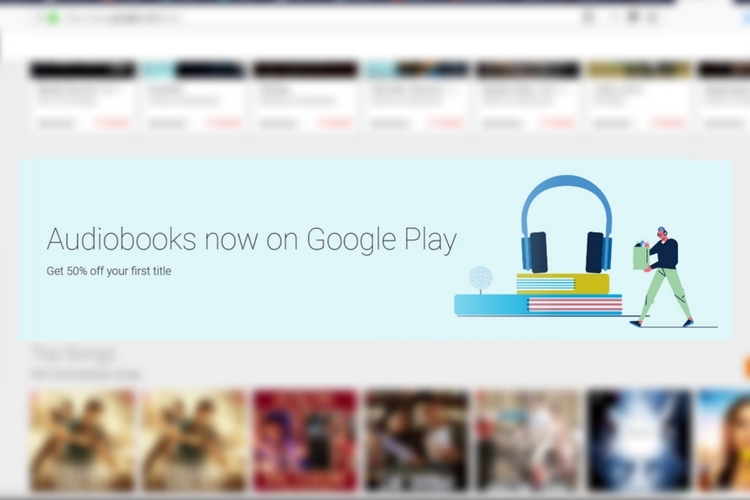 And now, it looks like Google is bringing Audiobooks to the Play Store as well. As reported by 9to5Google, a banner teasing Audiobooks appeared on the Play Store. Instead of showing up on the main Play Store page, the banner is hidden inside Books section, and it says that audiobooks are now available on Google Play. Although the link isn’t working (at the time of writing), but it is showing up on both web as well as the Google app on Android. That being said, there’s no info about its availability just yet, but looking at the banner and all the hype surrounding it, it looks like the update is right around the corner. And interestingly, the banner also says that you’ll get 50-percent off on your first purchase. In fact, the APK Teardown by TheAndroidSoul also gives us an idea of what to expect from Google Play Books app as well. Looking at the APK Teardown, it appears that Google has been prepping the Play Books app for the arrival of Audiobooks. Hence, it is safe to say that the Audiobooks are coming sooner than later. Speaking of Audiobooks, Google Play’s music library does host a selection of audiobooks. However, it is not the best implementation, and we’d rather like to see a dedicated placeholder to pick and choose what we want.